Tired of losing your drink in dark parties? It’s a real problem but thankfully technology has the answer. With the Light Up LED Highball Glass, you’ll always know where your beverage is and bonus, you can use it as a flashlight. These glasses are made from clear acrylic and in their base hold an LED light that can be set on one color or cycle through the rainbow, whatever mood strikes you. Each glass can accommodate up to 16oz of beverages so go ahead and pour that whole soda in. These sorts of glasses are usually slated for the world of parties, weddings, and other one off social events so generally the battery is once and done with these but with this product, you can replace the battery. So if it loses its glow you can bring it back to life. Probably not great for everyday use but would probably make a pretty handy pick me up when you’re having a bad day. 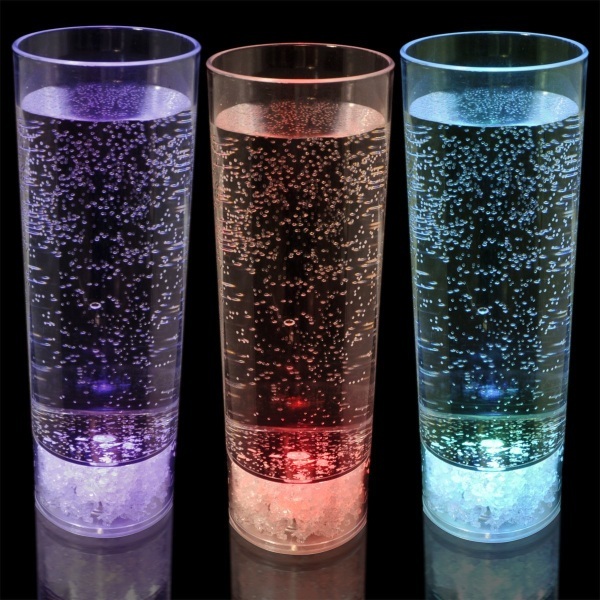 The Light Up LED Highball Glass is $4.99.